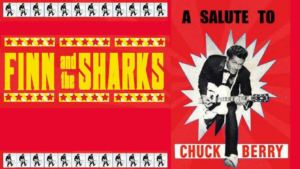 Finn and the Sharks Salute to Chuck Berry next Saturday, June 17, 8 p.m. at the Union Arts Center, 2 Union Ave., Sparkill. Tickets cost $20 in advance and $25 at the door. Union Arts website is uacny.com.